On Saturday November 22, the feast of St. Cecilia, patroness of music was held. 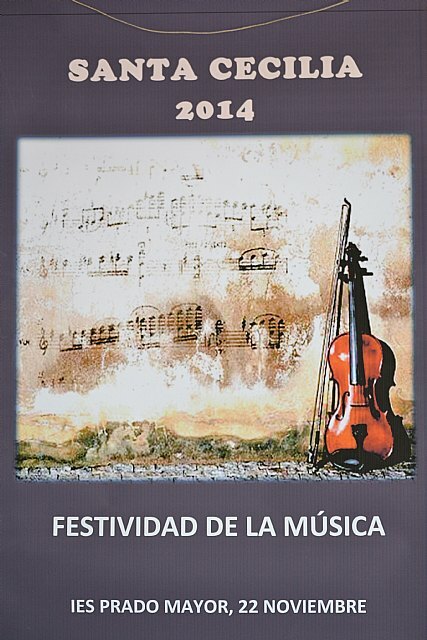 Therefore the Music Department of IES "Prado Mayor" formed by professors José Luis Moreno Martínez and Ana Dougnac Pascual, organized and coordinated throughout the week from 17 to 21 November a series of extremely varied activities and the notably the great involvement of teachers from other specialties. musical meditation workshop coordinated by Professor Francisca García guidance department, a series of six lectures under the title "The universality of Music" sought to deepen the connection between music and other disciplines taught by teacher Juan José López (dept. of Philosophy), Juan Luis Salas (dept. of Mathematics) María Sáez (dept. of Language) Fuensanta Segura (Dept of Biology), Gilberto Vasquez (dept. of Language) and Rosario Arcas (dept . of Philosophy), whose high school students from 1st made a beautiful representation of the Greek myth of Orpheus and Eurydice. 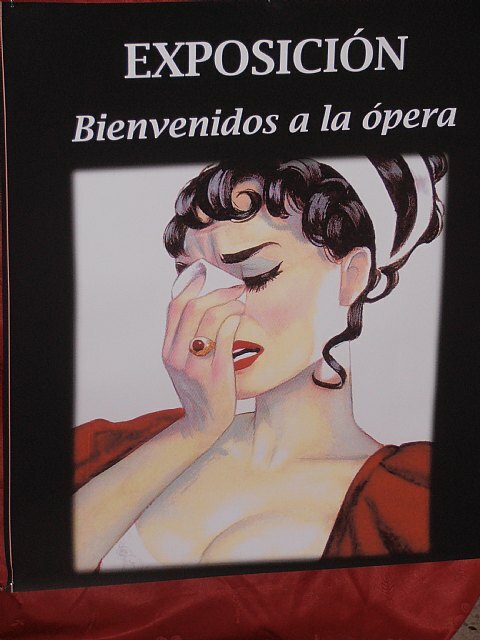 Students and teachers also had the opportunity to attend the wonderful exhibition "Welcome to the opera" organized by Professor Gilberto Vasquez in the school library, where a foray into the world of opera became, through his origins , types of voices and curiosities as well as the projection of some of the most exciting pieces of this genre. 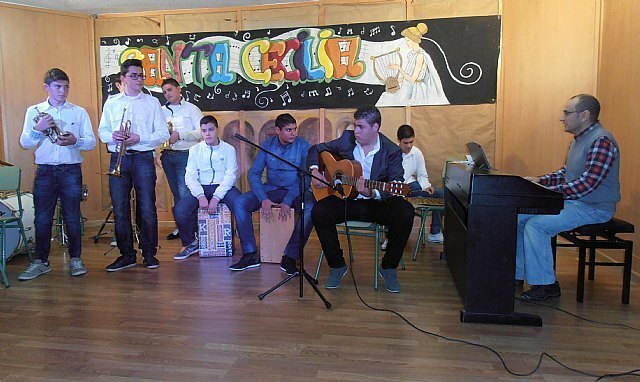 Moreover, the entire center was decorated with motifs and musical messages by students of 2nd and 4th of ESO, and musically entertained during breaks with a selection of songs performed by them. This culminated on Friday 21 November with the great concert held in the auditorium of the institute, concert three passes were made during the morning, to give the opportunity to attend the largest number of alumni / ae. The performances were staged by students of all levels of education from 1st to 2nd ESO's degree. The diversity of musical styles was greatly varied. Thus, we could hear from rap, to hard rock music, to the haunting sounds of "Arabesque" # 1 of C. Debussy. We also had the opportunity to hear a beautiful song by the group of students of 1st ESO A with lyrics and music created by them, as an initiative within the Language class, her teacher, Belén López. Students of 3rd of ESO class of Physics and Chemistry Professor Reyes Romero, surprised everyone playing the anthem of the joy of Beethoven with glasses and bottles. With the intention of giving a more pedagogical concert, and includes comments on each of the pieces performed, the attention of the students were awarded with the draw for a small musical gift to those students / as right chords simple questions questionnaire that was raised at the end of the auditions.